A Bandit’s Tale: The Muddled Misadventures of a Pickpocket is a historical fiction story of survival, crime, adventure, and horses in the streets of 19th century New York City. 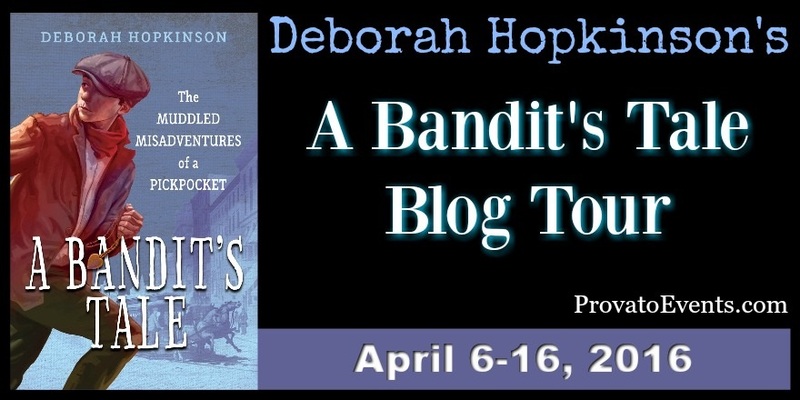 I’m delighted to welcome author, Deborah Hopkinson back to My Learning Life as part of the #BanditBlogTour today. 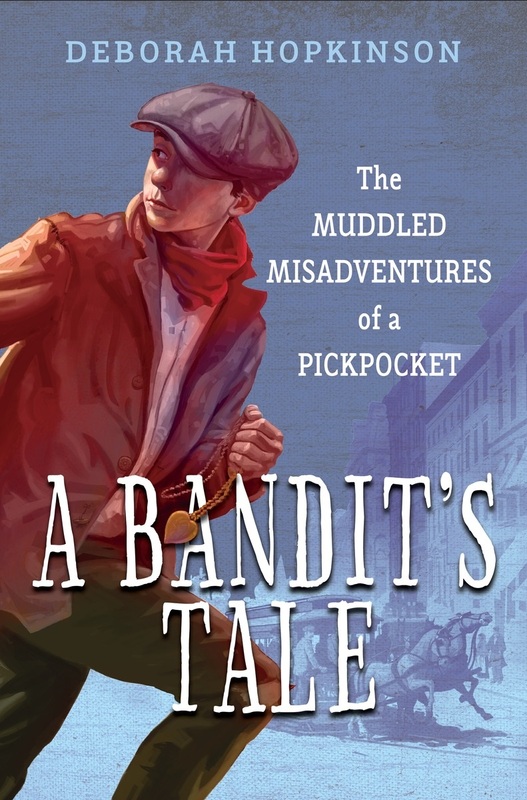 With a group of fourth and fifth graders gathered around me in a school library, I show the cover of my new historical fiction title, A Bandit’s Tale, The Muddled Misadventures of a Pickpocket. Switching to the next slide, I tell them I was inspired to write the book because of this picture. The students gasp as they see the famous photograph entitled “The Close of a Career in New York,” which shows several ragged looking boys next to the carcass of a horse on a cobblestoned street. “What happened to the horse?” I ask. Guesses abound – everything from the notion that the kids in the photo killed the horse, to the idea that it got run over by a car. “Any guess is good,” I tell them. By looking closely and making deductions, students are able to decipher the context, and imagine what it might have been like to live in a time when horses who died on the street from overwork were part of the world of children who lived then. Visual thinking is an important component of my author visits, and students and I often look closely at artifacts such as historic photographs (or in the case of my novel The Great Trouble, an actual 1854 death certificate). That’s one reason why we used this photograph and others as design elements in A Bandit’s Tale. This is a story about the burgeoning social justice movements of the 19th century which features appearances by real-life activists Jacob Riis, author of How the Other Half Lives, and Henry Bergh, who founded the ASPCA 150 years ago, in 1866. Although the themes may be serious, this is also a picaresque adventure tale of an unlikely hero – a pickpocket named Rocco. My research for this book took me to the archives of the New York Society for the Prevention of Cruelty to Children, and into the Henry Bergh manuscript collection at the Museum of the City of New York. I also roamed the streets of New York, and found the horseshoe design still adorning the building where Michael Hallanan, known as the Greenwich Village blacksmith, had his stables. His fictional daughter Mary, whose favorite book is Black Beauty, is a main character in the story and a model of a young “meddler,” devoted to helping Mr. Bergh improve conditions for the city’s horses. A Bandit’s Tale has extensive back matter, which I hope will be of interest to young readers as well as to parents, teachers, and librarians. Most of all, I hope kids will enjoy reading this story as much as I did writing it. Thanks again to Deborah Hopkinson for appearing. For other stops on the Bandit Blog Tour please check deborahhopkinson.com. Be sure to use this hashtag: #BanditBlogTour. 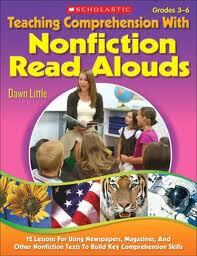 Deborah Hopkinson is the author of nearly 50 books for young readers. 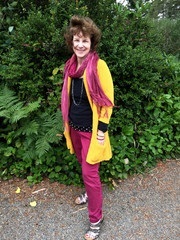 Visit Deborah Hopkinson at www.deborahhopkinson.com or follow her on Twitter @deborahopkinson.